It’s been a great year. I’ve had a lot of fun writing Flash Fiction Fridays, Mention Mondays, Writing Wednesdays, and the other random things that come up. I’ve smiled with every follow notification, and excitedly read every comment (even though I’m not always the best at knowing how to reply). I’ve connected with some great beta and ARC readers, and I’m thankful for every single person who visits this blog or reads one of my stories. Thank you all for being a part of this year! With any luck, next year will be even more amazing 🙂 I hope that you stick around, visit often, and see all the exciting things that I have lined up. 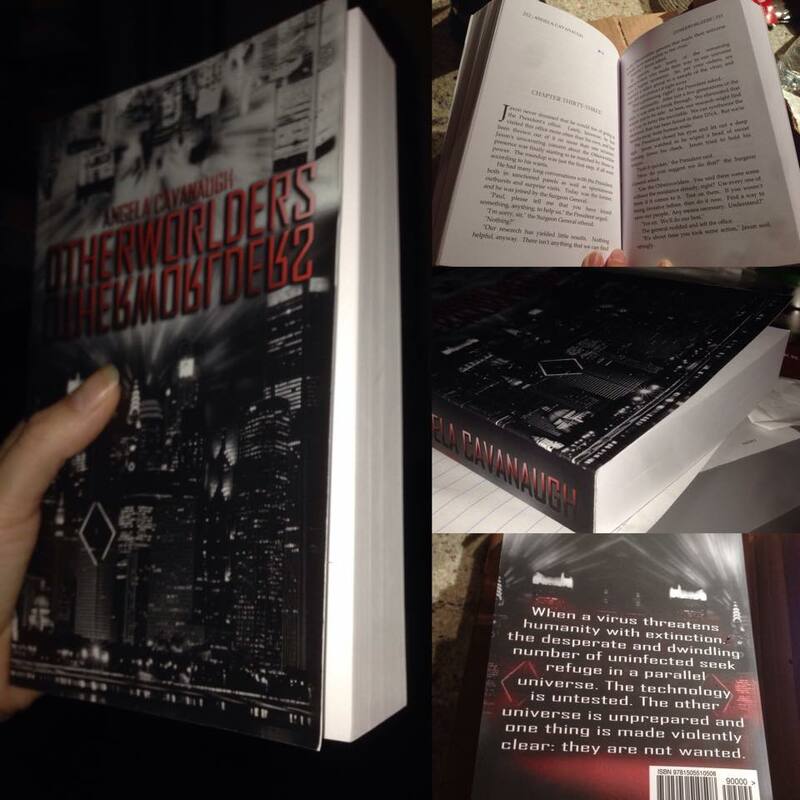 My new novel, Otherworlders, has a large cast. I’d say there are 6 main characters, 2 secondary characters, and around 5 supporting characters. I think that I executed it well. Or so I’ve been told. You can’t always be productive. Sometimes, you need a little something to let your brain melt and relax. If you’re a big nerd like me, then you probably like Blizzard. And maybe you’re already playing Hearthstone. I dabbled at Magic as a kid, and loved Munchkin as an adult. So, when this free game was released, I was intrigued. It recently got it’s first real expansion, which freshened up the game, adding new content and changing up some of the game play. There are also interactive environments to click around on during the game. I really like this game, and I probably spend too much time playing it. But hey, it’s fun and it’s free. If you’re a writer, then I’m sure that you’ve heard all about the constant rejection that a writer should expect. Maybe you’ve even experienced it. But no matter if it’s your first rejection or your hundredth, it hurts. If you nominated Otherworlders on Kindle Scout, then you know that they passed on it. Couple that with my non-win of Writers of the Future (Honorable Mention, but didn’t place), and you could say that I had a bad day yesterday. I’d heard “this isn’t what we’re looking for” before from Agents. But the Kindle rejection felt deeper, more personal, and definitely more public. But, after a few hours of crying on and off, and several more hours of my wonderful guy doing all he could to try to cheer me up, I knew that I had to get over it. But as hard as it is, as much as I had gotten my hopes up that I’d win, I couldn’t wallow forever. I looked up a few agents and sent out a few new queries. Makes me feel better for some reason. I also went to my network of author friends, who were very supportive, and encouraged me to self-publish. Which is likely what I’ll do. And of course the constant chant of: keep writing! For me, the best way to get over bad news is by working through it. Doing everything that I can to reshuffle the situation and make a new plan. I like plans, even loose ones. It helps me feel like I’m in control. So, now I’m looking for ARC readers! An ARC reader gets a free copy of the ebook in exchange for an honest review when the book goes on sale on Amazon. If anyone is interested, let me know by emailing me at Fictionbyangela @ gmail, and I’ll send you a copy.